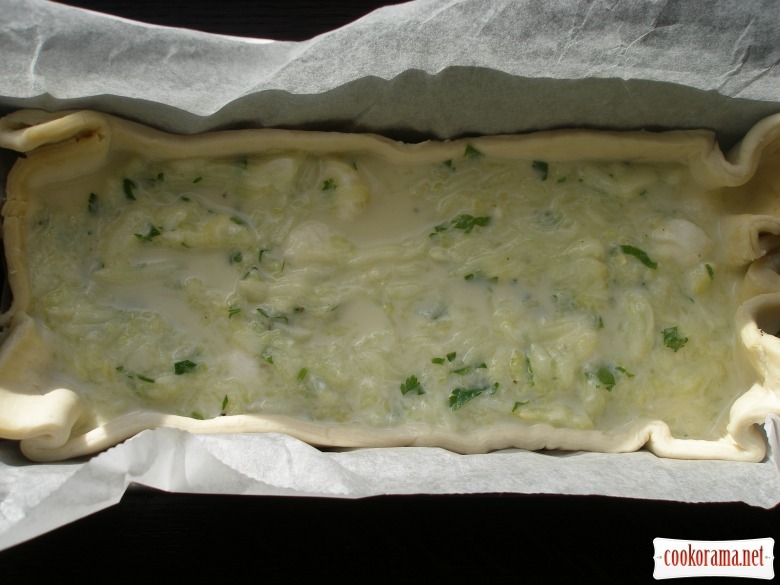 For this pie I used a ready-made puff pastry. You can make basis of short pastry. 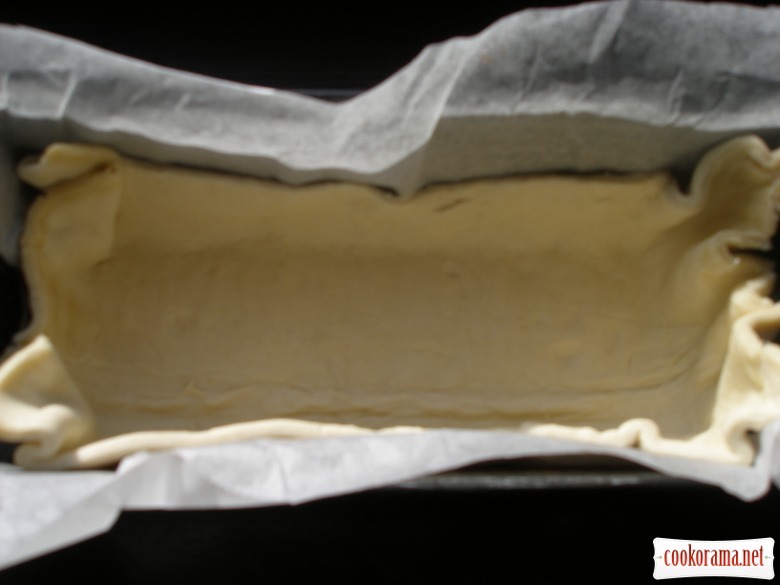 Put dough in form, covered with parchment, to make decent sides. Grate courgette and squeeze well. 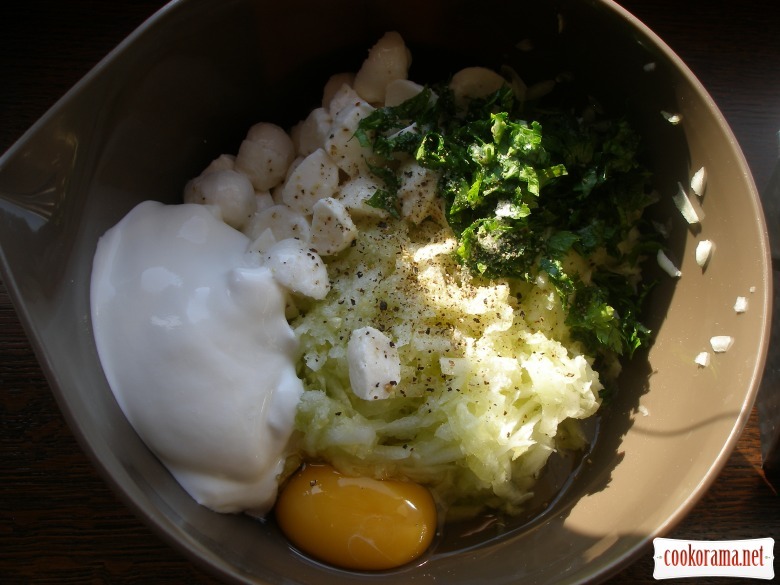 Mix with curd, sour cream (better use homemade), egg, greens. Salt, pepper it. You can use your fantasy to prepare stuffing. Spread stuffing on dough. Bake for 40-45 min at 180 ℃. It is tasty warm and cold. 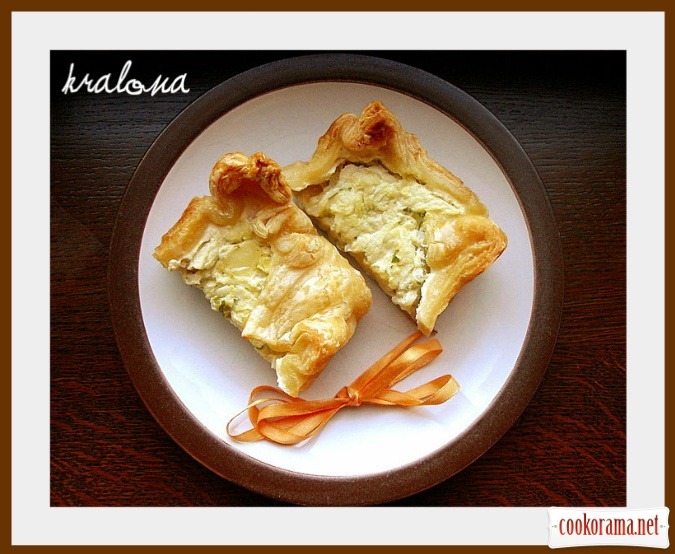 Top of recipe "Courgette-cheese pie"
Гарний пиріжок! Швидко, смачно і ситно! Все, що треба, щоб швидко нагодувати чоловіка!